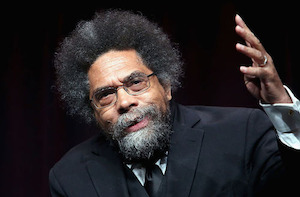 An interview with Dr. Cornel West, professor of the practice of public philosophy at Harvard Divinity School, on the 25th anniversary of the publication of Race Matters. The book has now been re-released with a new introduction, 25 years after it made its initial debut. Diverse recently interviewed the Harvard scholar about the book and the current state of race relations. Diverse: It’s hard to believe that it’s been 25 years since you first published Race Matters. West: Isn’t that the truth? It’s a blessing to live that long. Diverse: It was such a transformative text for so many. Why do you think it resonated so much with the public? West: It’s hard to say. I think it was interdisciplinary. It tried to be honest. It tried to be critical. It tried to wrestle with this vicious legacy of White supremacy. It was at that Rodney King moment and all of the massive rebellions that went along with that moment. Diverse: Why did you decide to do a new introduction? West: I didn’t come up with the idea at all. I didn’t think about it. [The publisher] came up with the idea. They just wanted me to write an introduction, and I said, ‘Well, let me write a blazing and sizzling introduction that ‘race matters’in the 21st century that ties so directly into Empire matters and Earth matters and homophobia and transphobia, so to try to accent these crucial class dimensions and imperial dimensions of White supremacy. I think that’s what’s badly needed right now. The last thing we need is to somehow isolate this vicious legacy of White supremacy. We don’t want to be pre-DuBoisian. So much of our discourse remains pre-DuBoisian and in the neo-liberal mode, and I’m trying to push that DuBoisian perspective. Diverse: Of course, when you wrote the book, most people had never heard of Barack Obama. What has the election of the nation’s first Black president meant for “race matters”? And how worried are you about “race matters” in the era of Donald Trump? West: Well, it’s like any other ugly neo-fascist era. We have to remain vigilant in terms of connecting White supremacy to the rule of big business, to the rule of big military and the ways in which patriarchal, machismo identity reinforce the ways in which trans and gays and lesbians are demonized, and at the center, of course, is this contempt for Black people. I think in so many ways what happened with our dear Brother Barack Obama was we ended up with so many Black people waving the flag because you had a Black face, a brilliant Black brother, who headed the American Empire. So, it became very difficult to criticize the Empire. There was a protective shield around him. For somebody to cut against that grain, as I tried to do, was a very, very difficult thing. I would do it again, even more intensely, but it was a difficult thing to do, but it was really a question of holding up the standard of the best of the Black freedom movement. It’s very difficult to do that at a moment in which you have unprecedented success at the highest level of the Empire. It’s very difficult because it looks like you’re hating on an individual Black man, as opposed to being critical of an Empire that he is running; critical of a capitalist regime that he is the head of. Diverse: You offered a biting critique in Race Matters of Black political leadership. How would you assess where we are today? West: It’s clear we have pretty low quality of Black leadership at the top. We have magnificent Black leadership emerging at the grassroots. When you go to our elite leadership, oh my, it’s low quality. It’s disheartening. When you go to grassroots leadership — not highly visible — it’s emerging with tremendous power and that’s a beautiful thing to be a part of. Diverse: And what about the role of Black intellectuals? West: We have a market-driven public sphere in which every critique is viewed as a take-down. Every conversation is reduced to competition. And so every attempt to engage in some kind of critical inquiry is viewed as an act of hatred and so it’s hard to be an intellectual. What happens is the careerism and the opportunism take over because so many Black intellectuals are scared, afraid to engage in any kind of public criticism of somebody who has got a major hold on the market. It undermines their career possibilities. It undermines their professional upward mobility. And so it takes tremendous courage, especially among the younger generation. It’s easier for me, because I’m an old brother. Diverse: Were you surprised by the response of so many after you recently offered a critique of Ta-Nehisi Coates in The Guardian? West: Not really, because I just know that things are so dumbed down. That’s why I included in the piece that I want you all to know that this is not an act of hatred. I want you to know this is not a take-down; that Brother Coates is my brother and he is a significant voice and he needs to be taken seriously and you can’t take somebody seriously unless you give them the benefit of being wrong as well as being right. And that’s just the way it is. When Adolph Reed was critical of me in 1993, I learned from his criticisms. One of the reasons why we work together, march together, lecture together is because we learn from one another, which is not to say that we have full agreement on everything, but we’ve got agreement on significant things. The same is true with Nation of Islam. They came at me tooth and nail in 1993. And what did I do? I sat down and had a long dialogue with Minister Louis Farrakhan. I had a long dialogue with the Nation. I come out of the legacy of Martin [Luther] King. Y’all come out of the legacy of Elijah Muhammad. Let’s see where we agree, let’s see where we disagree. Same is true with Brother [Al] Sharpton. Same is true with Molefi Asante. He had a blistering critique of me. I sat down with the brother. We had a long public dialogue. We talked together in Jeremiah Wright’s church in Chicago. He was coming from an Afrocentric point of view. I was coming from the legacy of Martin King. That does not mean we don’t work together. I do learn from Brother Coates and I would hope that he could learn something from me.